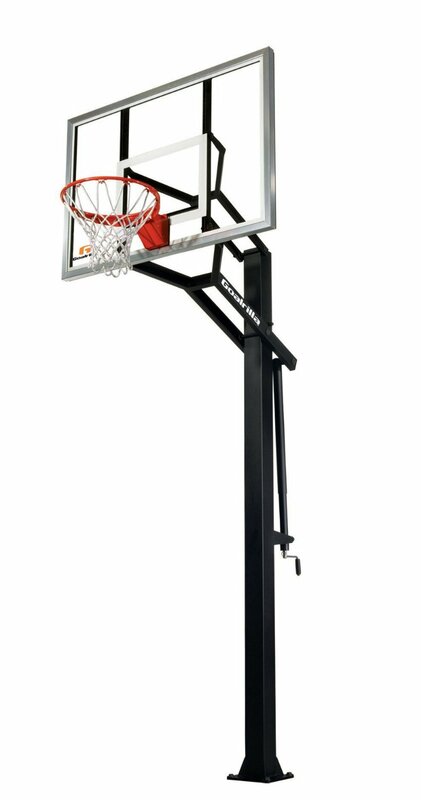 The GLR GS 54 is Goalrilla’s most compact basketball hoop system. 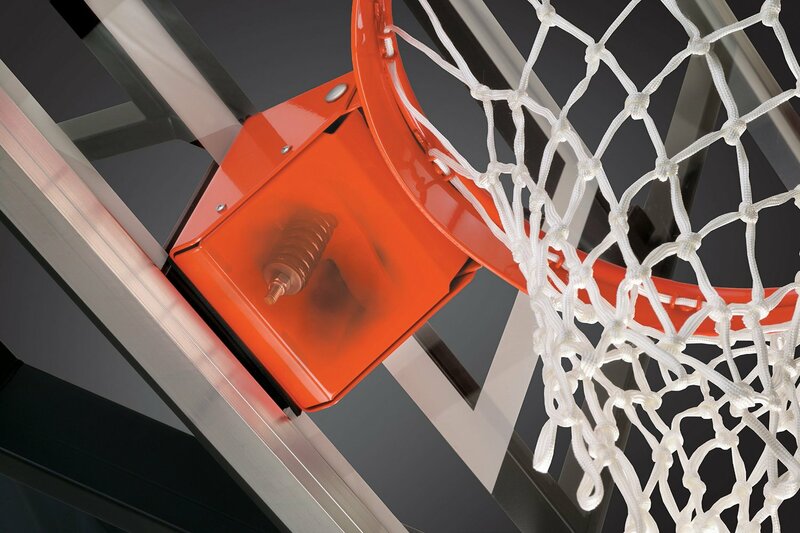 Featuring a 54 inch tempered glass backboard, anchor bolt mounting system, 1 piece 5″ x 5″ pole, powder coating finish, this in ground hoop promises to be one of the most durable products in the market. Click here to checkout the latest price in Amazon. Assembly is quite easy with this hoop. Digging the hole can take a few hours, pouring the concrete and setting the anchors takes another few hours, and after that is the assembly of the pole/backboard. So this will take almost half a day but it’s pretty simple to do and the instructions are clear and easy to follow. 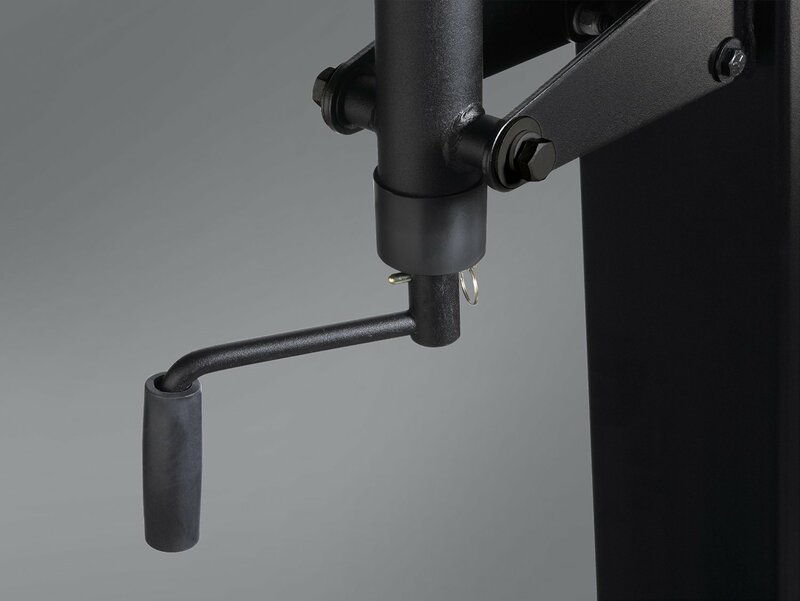 Height adjustment can be done via the Goalrilla Height Adjustment Actuator which makes adjustment of the goal pretty easy. A nice touch is after adjusting the height and reaching your desired height, the handle can be removed as an added safety feature. The backboard is a solid, 3/8 inch thick tempered glass and is pretty close to professional grade. There’s minimal movement and shaking, which is pretty much expected with these basketball hoop systems. 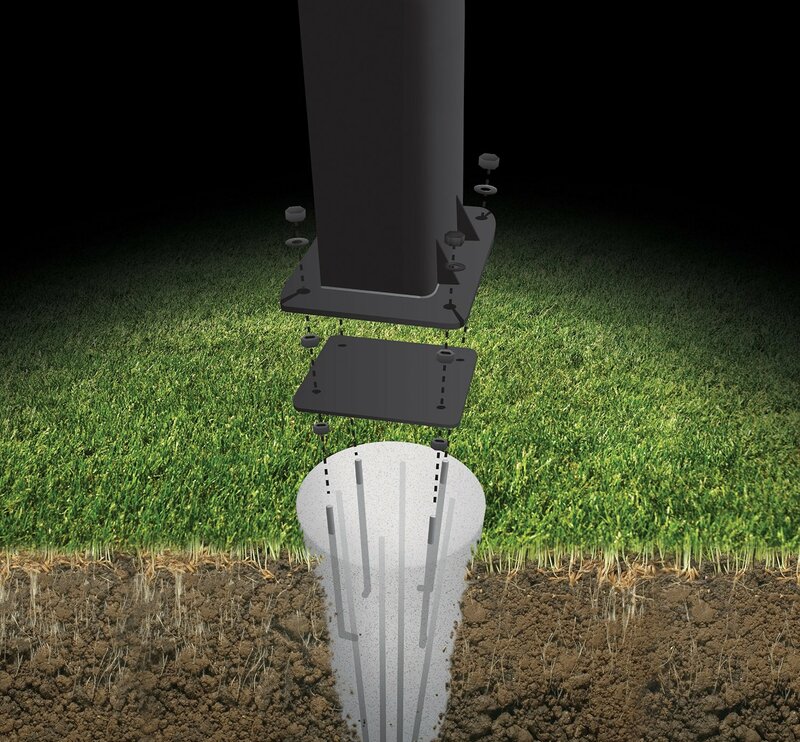 The pole is made of solid steel that measures 5 inches by 5 inches and is only 1 piece, which makes it quite sturdy. The DuPont powder coat finish guarantees rust protection. The anchor system is really nice as you can move the hoop if ever you are required to. A nice feature if you are considering a move. 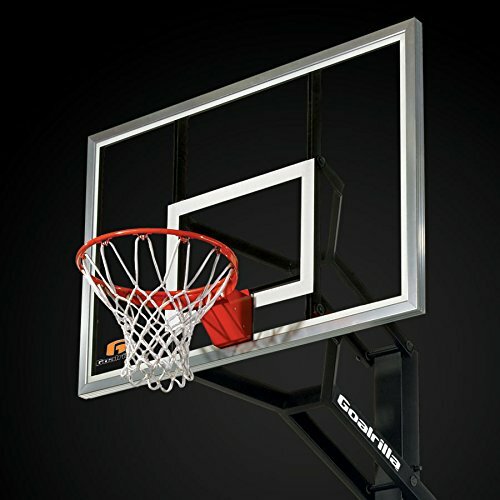 Goalrilla is known to put out very high quality hoops and the GS54 is no exception. It is not cheap, another Goalrilla trait, but with the price also comes quality. The build of this hoop is high grade, from the tempered glass backboard all the way to the bolts, you could see that Goalrilla did not skimp on the quality. This in ground hoop is definitely worth the somewhat high tag price if you really want a quality product that will last years.